Alison Can Read: The Twilight Saga Official Guide: What do you want to see? The Twilight Saga Official Guide: What do you want to see? Only six more days until The Twilight Saga Official Guide is released!!!!! I have an unending list of questions about the Twilight world and desperately hope that Stephenie will answer them. I have read all the extra letters and interviews in the Twilight Lexicon and basically everywhere else. I think I know almost everything about Twilight that’s currently out there. I hope that the information in the Guide isn't just a rehash of things Stephenie has said before. I don't think it will be...I sure hope not. You'll notice that there aren't any questions about the Wolfpack, Nessie, or Bella. That's because I don't really care about them all that much. I am a vampire girl through and through, both in the Twilight world and outside it. The two main reasons I love Twilight are the Cullens - their individual personalities, history, and family dynamic - and Stephenie's vampire mythology. As sanitized and family-friendly as the books are, her idea of vampires is extremely dark. It's the only book I've read where humans have no defenses against a vampire who wants to kill them. It's also one of the few books where blood drinking inevitably kills the human and is not a sensuous experience for either party. 1. How much do they weigh? More than humans or less? Since they’re made of a stone-like substance, I would think more. 2. Are they always cold skinned? If they were in 120* weather, would their skin match the outside temperature? Since they’re like stone, I would think so. 3. How fast can they run? 4. How high and far can they jump? 5. What is in vampire venom? Why is it so painful - is it highly acidic? 6. Can vampire fingernails break vampire skin or just teeth? 7. Don’t people wonder who uses the castle in Volterra? 1. I want to know more specifics (including numbers) of when they’ve slipped. 2. What and how many languages can each speak (We know Carlisle and Edward speak the most)? 3. I want to know the story of the treaty between the Cullens and the wolves in the 1930s. How did they meet? How was the treaty made? 4. Have the Cullens ever run into someone they knew as humans or from a previous residence? If so, how did they handle it? 5. Have they had to fight other vampires in the past (pre-Twilight)? They seemed like they knew what they were doing. 6. Have they ever had to go by other names? I would think that it would be hard to start anew in this modern era. 1. When did he move to the U.S.? 3. Did he have any close calls when he started working with blood? 4. Did something specific precipitate his departure from the Volturi? 5. We learn that Carlisle is an good fighter despite hating violence. When and from whom did he learn? 7. How did Carlisle get his father’s cross? When did he go back to England to get it? 8. Did he ever meet the vampire who changed him? 9. Did Carlisle have trouble changing Edward? It was his first taste of human blood. Did he have difficulty stopping? 10. How did Carlisle and Alistair meet? 11. Everyone seems to get along with Carlisle. For such an unusual vampire, he certainly doesn’t lack for friends. Was it initially hard for him to reconcile being friendly with vampires who killed humans without remorse? 12. How did the Quileutes know about Carlisle prior to the 1930s? Did he know about them? 1. How did Esme learn all her architectural skills? Does she have college degrees or is she self-taught? 2. What was her baby’s name? 3. I swear I remember an interview where Stephenie said that Esme didn’t like leaving the house too often, because she had a particularly difficult time resisting blood. I can’t find this interview anymore. I would like her to mention this again. 4. How did Esme break her leg? I believe she was climbing a tree. But why? 5. How did she feel about her first husband? Did he live a long life? I can't see Esme really wishing him dead, but I don't think she'd want him hurting anyone else. 1. When and for how long did he leave to become a regular vampire? Dates I see are generally around the end of the 1920s and beginning of the 1930s, but we don’t have an exact time frame. 2. I’d like to learn more about his human life. We know that he grew up in Chicago, moderately wealthy, the son of an attorney - What did he like to do? Did he get along with his parents? Was he also musical as a human? 3. What were his newborn years like? Was he angry or did he and Carlisle become friends fairly quickly? How soon could he be around humans? 4. 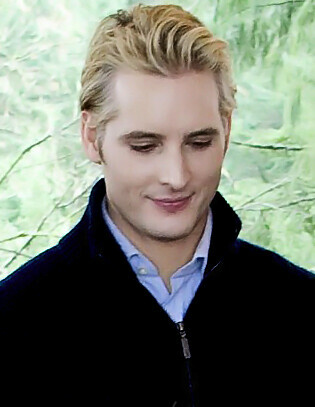 Why did Carlisle become attached to Edward and his mother during their time in the hospital? What made them different? 5. How did Edward and Esme’s relationship develop? Since he’s “older” than her, I’m assuming their relationship didn’t start out on a mother/son trajectory. 6. I would like to read Edward’s prodigal son moment. What exactly happened when he returned him from his years as a traditional vampire? 1. When did Rosalie’s mechanical proclivities show themselves? Presumably she wasn’t allowed to work on cars as a girly human. 2. I’d like to see how her relationship with Carlisle has healed and changed. I imagine she resented and hated him more than the others. 3. How old was she when she killed Royce and his cronies? One month? Ten months? Did the other Cullens know what she was going to do beforehand? 4. Will Rosalie and Bella remain friends post-Breaking Dawn? Will Rosalie be jealous that Bella has a daughter and she doesn’t or will she be satisfied being an aunt? 5. We know that Rosalie was vaguely acquainted with the Cullens before she was changed and that she didn’t like them much. How exactly did they meet and what did the Cullens think of her? 1. What was Emmett doing in his last human years? Did he finish high school? Was he working? Was his family very poor? 2. When did Rosalie and Emmett first get married? When have they gotten remarried? 3. I’m assuming Jasper is a much better fighter than Emmett. Has Emmett ever beaten Jasper? 4. When exactly did Esme and Carlisle kick Rosalie and Emmett out? How long did they stay away? How often have Rosalie and Emmett lived apart from the rest of the family? 5. Why is Emmett a vegetarian? Is it just because that’s what Rosalie wants or does he feel it’s morally right? 6. Why does Emmett love Rosalie? I get the physical connection. Rosalie is such a difficult person. Other than the physical aspects of her relationship, what about her does he like? 1. I want a timeline of Jasper’s life. I am positive the Lexicon’s timeline (which has Jasper leaving Maria in the 1880s) is wrong from things said in Eclipse and Midnight Sun. When did he leave Maria? When did he leave Peter and Charlotte? 2. How far does Jasper’s power extend? Can he influence emotions of people in a different room? Can he influence one person’s emotions and not another’s? 3. I want to know more about his relationship with Maria. I assume it was physical, but it’s not clear. 4. What exactly happened when Maria came to visit the Cullens in Calgary? Why did they have to leave immediately? 5. 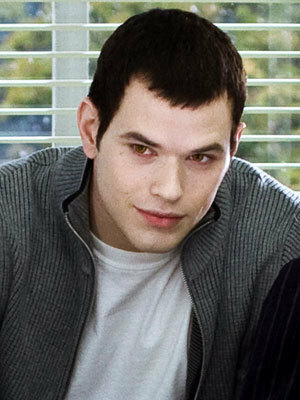 How long did it take Jasper to trust the Cullens? How long did it take the Cullens to trust him? I’m guessing they accepted Alice faster than Jasper. 6. Was Jasper angry at Edward when he, Alice, and Bella returned from Italy? Alice chose to risk her life to risk Edward, but she wouldn’t have gone there in the first place if Edward hadn’t headed off on a suicide mission. 1. When was Alice placed into the asylum? What exactly precipitated it? How long was she there? 2. What were her first 30 years like before she met Jasper? Was she alone the entire time? Did she interact with humans? Did she interact with other vampires? 3. When did she become a “vegetarian”? 4. Has she slipped much? I theorize that she controls her thirst largely by using her sight to stay away from blood. If something happens spur of the moment, how well can she control herself? She struggled when Bella was bleeding in Twilight and New Moon and left the room pretty quickly when Bella gave birth in Breaking Dawn. 5. What did Alice and Jasper do during the two years before they met the Cullens? 6. What kind of visions did Alice have about the Cullens? When did they begin? 7. Are Alice and Rosalie friends? My thought is that they’re family - they do things together and love each other, but may not be the greatest friends. 8. Why is Alice a vegetarian? Is it just because she saw that was her future? What do you hope to learn from The Twilight Saga Official Guide? What are your biggest unanswered questions? Those are some great questions! I too am more interested in the Cullens. I wouldn't mind knowing out how Nessie turns out, but I really feel that I have all the info on Bella that I want. I would like to know who Embry's dad is, as far as wolf scandals go. Wow, so many questions! Would've never thought of those. This is something I'd love to read on a long plane ride or something haha. Whoa. That is an impressive number of questions Alison! Now you've got me curious about things I never would have thought of on my own, I hope this book answers a lot of them for you:) I had no idea this was coming out, I'm apparently out of the Twilight loop! Great pick, and post! I know a lot of people are excited about this book. Enjoy! You have some great questions. I'm very interested in a lot of those as well. I hope the guide isn't just a rehash of what's on the Lex, but it might be with what I've heard from the admins of the Lex. (I'm good friends with them and I think I remember them saying that they had something to do with this.) 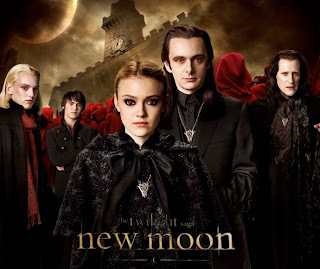 Although, it may have changed in the last few years since it was supposed to come out the year the New Moon movie was released. Lots of great questions. I have a couple for the wolves too. I want to know who Embry's dad is and what's going to happen with Leah? Can she reproduce? Will she imprint ever? Wow, you asked questions about things that I don't even remember from the books! Now I'm really excited for the official guide to catch up on everything that I either missed or forgot (and now I'm wondering if I should read the books again!). I haven't touched any of the Twilight books since Breaking Dawn came out, and I've forgotten pretty much everything. I think all the Twilight haters have gotten to me, and I've started to dislike it, too. I should definitely revisit and give it another chance. I haven't really gotten into the Twilight saga. I've only read the first, but I've seen the first 3 movies. I hope you get your questions answered though! I really love this question: "Have the Cullens ever run into someone they knew as humans or from a previous residence? If so, how did they handle it?" I'm not a Twilight fan, totally the opposite, but I hope you get all your questions answered! Wow Alison! I don't think I ever gave thought to most of those questions, but now I need to know! Wow, you're really into Twilight! I love when people get invested in a world. I really loved the books!!! Great post!! Thank you for sharing and for stopping by! Way to rack up the questions! I had so many questions at the end of Breaking Dawn that I was furious when I seen "The End" typed! I literally through the book across the room and there it sat for a month until I wasn't mad anymore. Soooo many loose ends. Grrr. Wow, you have so many great questions. I'm curious about Jasper. Admittedly, most of that curiosity comes from hearing that knee-weakening voice and southern accent in the movies. But his history also seems exciting and dangerous. 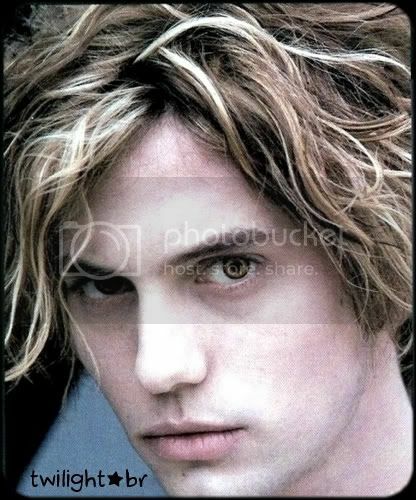 I'd totally read a book about his time as a vampire before and up to meeting Alice. Wow! That's what you call devotion! Wow! That's a lot of questions! There are some really great ones in there. 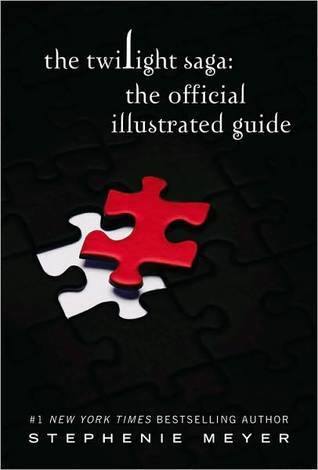 I kind of just thought the guide would be a general rehash of what we already know. I didn't even think about it being something new! That would be amazing!! I kind of think that I'm probably going to love it no matter what. I can't wait!!! Great post, by the way. These questions are very well thought out. Talking about it has made me even more excited than I already was! OMG! I remember when I used to stalk the Twilight Lexicon site. I haven't been on there for years. Alison, these questions are so good. Stuff I never even thought to wonder about. They are very valid, but I'm thinking that SM probably won't address most. Like why does Emmett love Rosalie? Why wasn't Jasper pissed as hell at Edward for putting his wife at risk? What the heck was Esme doing climbing a tree? I'm most interested in Jasper's timeline too! I think I pre-order this book two years ago. Can't believe it is finally almost here. Fantastic questions! You've really given this a lot of thought. I guess I'm most interested in the Cullen members backgrounds. Especially Alice. I love her!